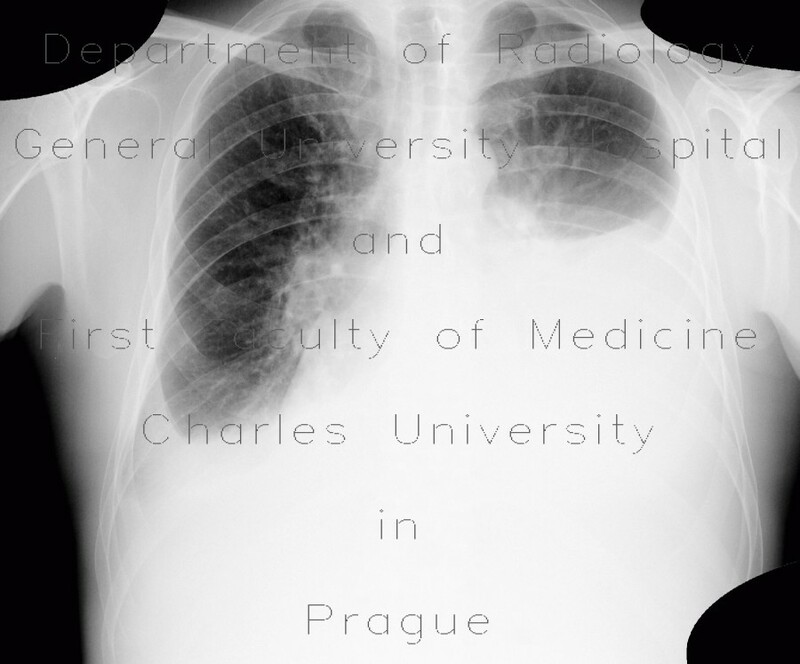 A patient with bilateral pleural effusion, which was initially more on the right side underwent its evacuation which lead to a right-sided pneumothorax. The amount of fluid in the left pleural cavity increased causing inversion of the left hemidiaphragm, which can be recognised by depression of the gastric bubble. Inversion of the hemidiaphragm precludes this muscle to act like a piston and an evacuation of pleural fluid is indicated.